The movie Venom: trailer, clips, photos, soundtrack, news and much more! Venom is a mighty beast of death: don’t mess with him! Venom is really a nightmarish creature! Wondering what he’s saying? Well, he’s trying to emulate that cult scene from Scary Movie and is saying “What’s Up”, but it sounds m ore like “wassup”, lol. 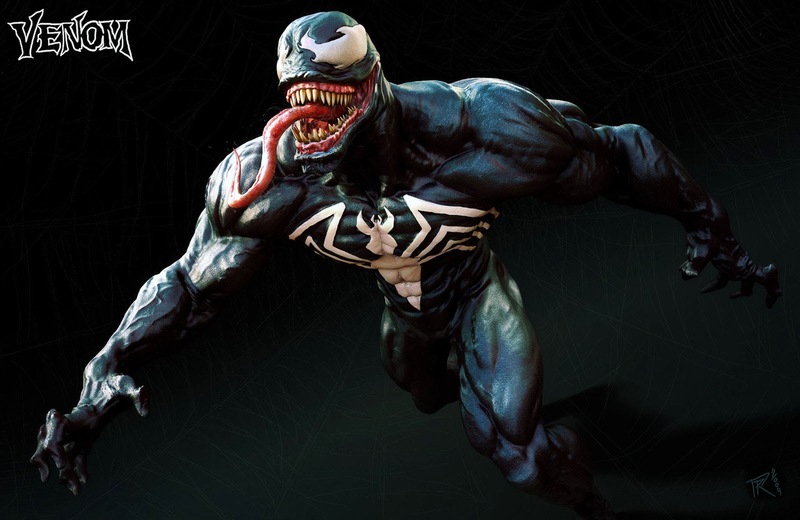 Would you want to fuse with this alien symbiote and transform into Venom? The film is directed by Ruben Fleischer. It will hit theaters on October 5, 2018. So do you like Venom’s deadly smile? “One of Marvel’s most enigmatic, complex and badass characters comes to the big screen, starring Academy Award® nominated actor Tom Hardy as the lethal protector Venom. He used to be human, but now with that alien symbiote he’s something else. Actually THEY are something else: they are Venom, hell yeah! The movie Venom will be released in theaters on October 5, 2018. Have you ever thought about fusing with an alien symbiote? The film is directed by Ruben Fleischer. In theaters: October 5, 2018. What about you? Are you Venom? Besides Tom Hardy, the cast also includes Michelle Williams, Jenny Slate, Riz Ahmed, Reid Scott, Michelle Lee, Scott Haze, Jared Bankens, Van Marten, DJames Jones, Grace Wan, Daniela Gaskie, Al-Jaleel Knox, Apollo GT, Paul Pillsbury, Kayko Thompson, Jock McKissic, and Sailor Larocque. The release date of the movie Venom is set to October 5, 2018. Update: The project will be directed by Ruben Fleischer based on a script by Scott Rosenberg, Jeff Pinkner, and Kelly Marcel. A Venom movie was announced a few years ago, unfortunately the project fell in development limbo along the way. But the project is now back on the front burner: Sony Pictures announced indeed that they’re going to expand the world of the new Spider-Man franchise and that a Venom movie is being planned. Scriptwriter Alex Kurtzman (Transformers, Mission Impossible 3, Star Trek) will direct the film based on a script he should (re-? )write with Roberto Orci and Ed Solomon. The plot hasn’t been announced yet. 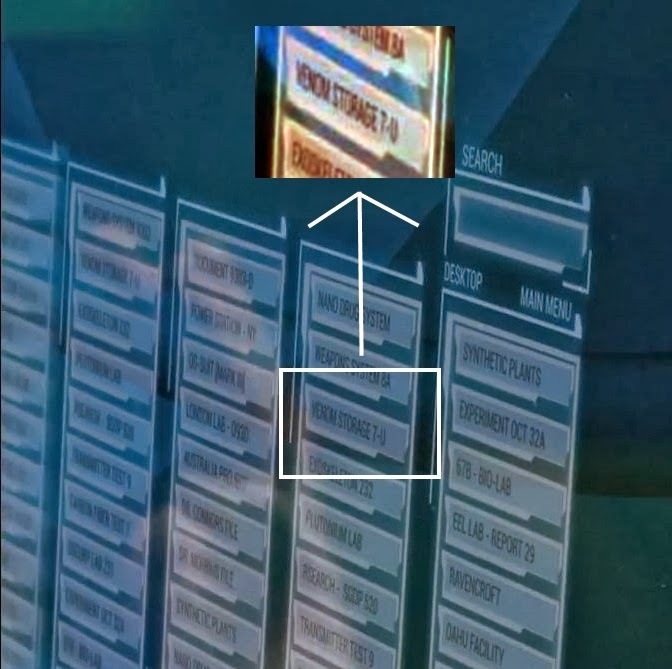 The picture is from a scene with Harry Osborn (Dane DeHaan) and Peter Parker (Andrew Garfield) using a high-tech computer at Oscorp. Anyway stay tuned with us for more details about the live-action venom movie! Well I don’t mind a supervillain movie: after all there is need for a balance of powers! Otherwise our superheroes would be useless! Let’s they will put the Venom movie in production soon! Directed by: Gary Ross ?